The Avenida Apartments are private residences, please observe their privacy by observing the building from the sidewalk. The Avenida Apartment House is located at 2009 W Pacific and were built in 1909. The Avenida Apartments were commissioned by Isaac Baum and are designed by Architect W.W. Hyslop and were initially designed to house 14 luxury rental apartments. In 1909 Isaac Baum applied for a building permit to build these apartments. This permit was granted by the City of Spokane, it called for "three and a half story brick apartment house, Browne's addition, $35,000." By the early 20th Century many of Spokane's elite were moving from their large mansions into more manageable apartment space. The Avenida Apartments were luxury apartments. This determination did not only mean that they were well equipped and comfortable for the regions more affluent citizens, it also means that these apartments were very different from the Single Residence Occupancy apartments (also known as SROs) common in the downtown core. Residents of SROs would usually stay in the same unit for a season while awaiting their next temporary or seasonal type employment, typicially working at logging camps or in mines. The Avenida Apartments had much more permanent residents with professional jobs. In 1929 the apartments had 25 residents, by 1934 eight of those residents still lived at the Avenida. In 1939 4 of the same 25 residents who had lived there in 1929 still resided at the Avenida Apartments. Residents of the Apartments were folks like Jessie Burns McNair. McNair was born on January 15th, 1890, whe attended High School in Post Falls, Idaho. By May 20, 1915 Jessie had completed a three year nursing training course at St. Luke's Hospital in Spokane. 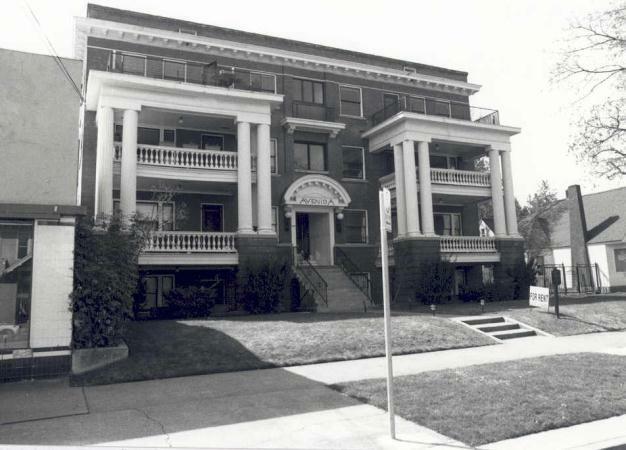 By 1929 McNair was working as a nurse for the City of Spokane Health Department, while living at the Avenida Apartments. McNair lived in Apartment unit H until at least 1939. What was surprising about McNair was that she lived in the apartment unit alone. Most other women who lived in these apartments at this time were widows who were sharing an apartment unit with another widow. Other residents included: Herbert L. Douglas and his wife Mary, Herbert was a Manager at the Davenport Hotel downtown, Fred A. Howard and his wife Eva, Howard was a salesman for Joyner Drug Company, Charles A. Bemis and his wife Vera, Bemis was a clerk at the Federal Reserve Bank. The Avenida Apartments was a small representative of what luxury apartments were like in Spokane. The Avenida block was built as apartments and has always been apartments since their construction over 100 years ago. The property is currently managed by the historic preservation minded Wells & Co. Audio Courtesy of Zachary Wnek. 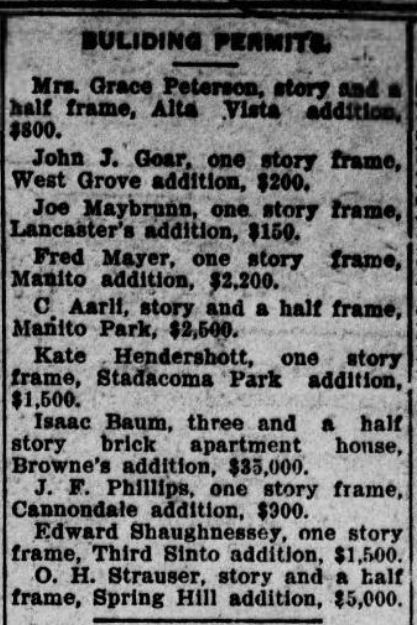 Zachary Wnek, “Avenida Apartments,” Spokane Historical, accessed April 20, 2019, https://spokanehistorical.org/items/show/318. Spokane, City Plan Commission. 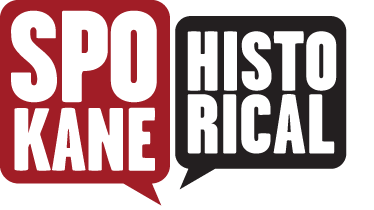 Historic Landmarks Survey: a report and site inventory of Spokane's historic resources. Spokane, Wash.: City Plan Commission, 1978. Yeomans, Linda, and Spokane City / County Historic Preservation Office. Historic resources inventoryâ€¯: Browne's Addition Historic District. Spokane, Washington: Spokane City/County Historic Preservation Office, 2001. "Department of Commerce and Labor: Bureau of the Census: Thirteenth Census of the United States: 1910 Population". United States Bureau of Census, 1910. Washington State Digital Archives. "Historic Spokane." 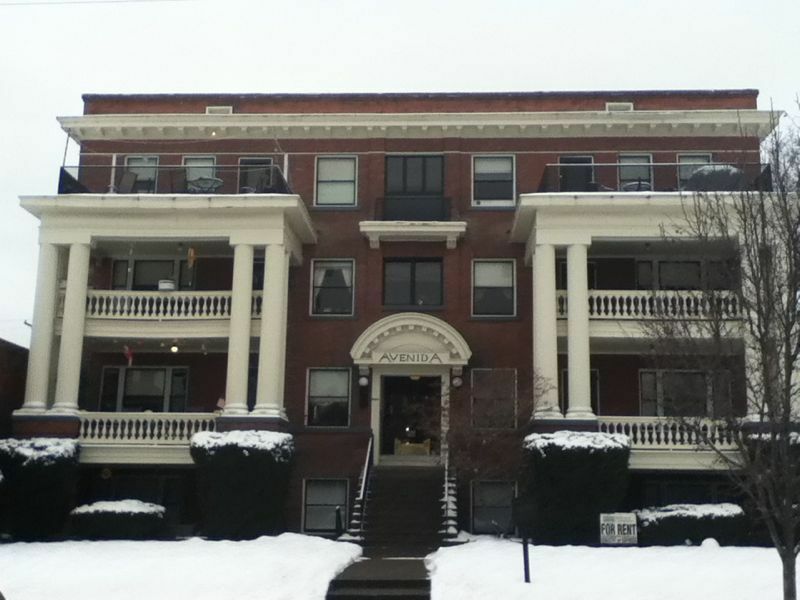 Avenida Apartments, n.d. http://properties.historicspokane.org/property/?PropertyID=1722 (accessed January 31, 2013). 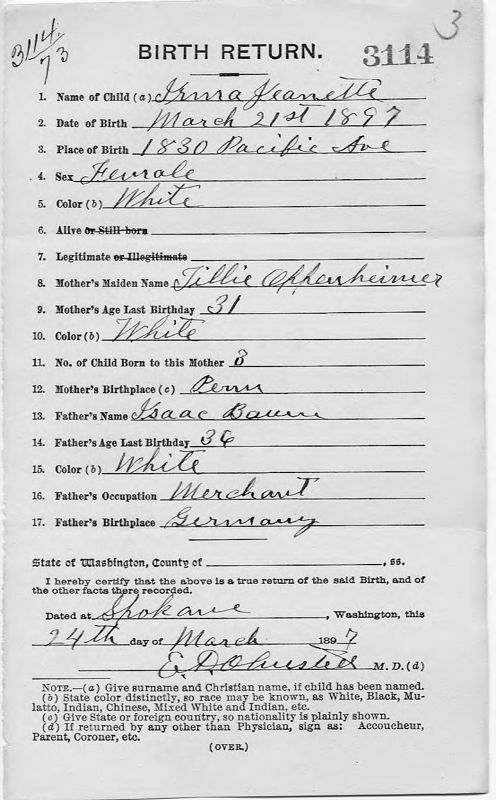 Irma Jeanette Baum, Spokane County Auditor, Birth Returns, 1890-1907, Office of the Secretary of State, Washington State Archives, Digital Archives, http://digitalarchives.wa.gov, 03/27/2013. R.L. Polk & Co. Spokane City Directory. Vol. 1929. R.L. Polk & Co., 1929. R.L. Polk & Co. Spokane City Directory. Vol. 1934. R.L. Polk & Co., 1934. R.L. Polk & Co. Spokane City Directory. Vol. 1939. R.L. Polk & Co., 1939. 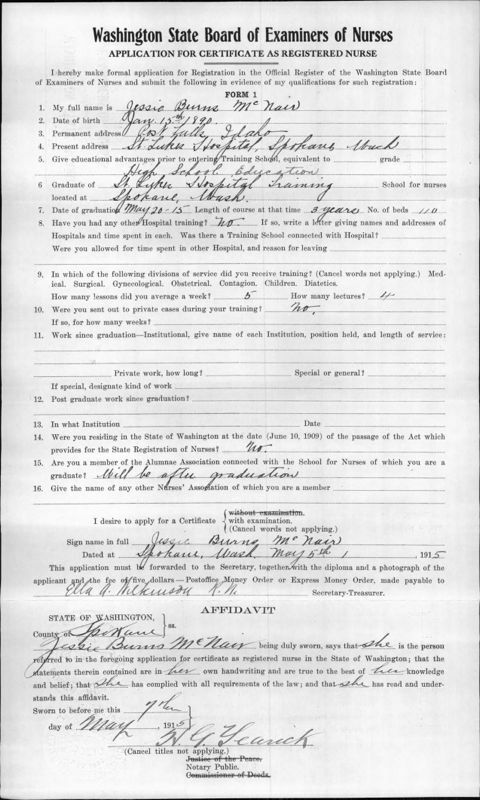 Department of Licensing, Business and Professions Division, Registered Nurses Licensing Files, 1909-1917 - Jessie Burns Mcnair - Washington State Digital Archives", n.d. accessed April 25, 2013.